Rats are curious, playful and love having fun! 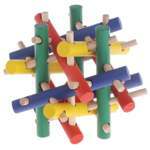 You can buy some toys here to keep your rats' brain stimulated and interested. A playing rat is a happy rat! 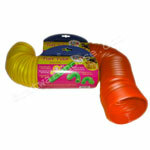 This plastic play tunnel can be bent and shaped into curves, used instead of a ladder or just as a toy. 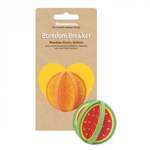 It comes in yellow or orange and measures 10 x 19cm or 10 x 75cm when fully extended. It's nice to play in the grass. You can now bring the grass indoors for your small ones. This little kit contains all you need to grow a healthy and nutritious crop of grass for your small pets to play with and munch down. One plastic tray with a bag of clean soil containing seeds. Brands vary based on availability. 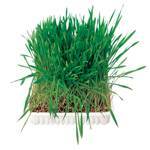 The brand currently in stock is: Vitakraft Cat Grass. 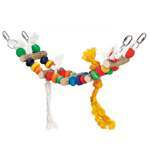 An adorable green and purple little caterpillar chew for your rats to gnaw on and carry around, steal from one another. 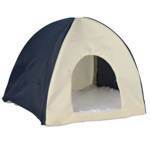 Suitable for rats, guinea pigs, small ferrets and other small pets. 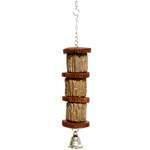 These flexible rope perches are an essential accessory for your cage. 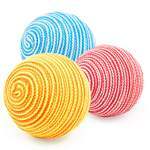 They are made of cotton rope with a rigid wire inside so that they can be bent and hold their shape. Both ends are fitted with screw caps which should fit most wire cages. Suitable for rats and other small pets. Measures 66cm. 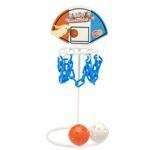 This basketball set is made of metal with plastic chain around the hoop. 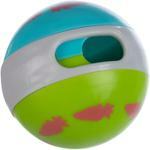 Come with two perforated balls which are easy for rats to pick up. The backboard shows a bird, but rats can be trained to shoot hoops. Arm yourself with some small, tasty treats, some patience and a couple of curious rats who are keen to learn new tricks. Try it with the Rosy Apple, Chocolate or Yoghurt drops, or the small crunchy carrot and beetroot hearts from the Treats Aisle. Suitable for rabbits, chinchillas, guinea pigs and rats. 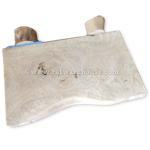 A metal spear with 2 spinning fruit shaped wooden chews. 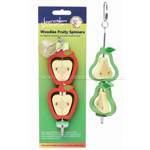 Once the chews are gone, the spear can be reused to hang fruit or other chews in the cage. 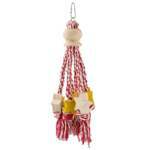 Slightly smaller than the kong toy for small animals, a great little gadget to make them work for their treats. 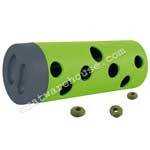 You can hide malt paste or other small tasty bits inside the Kong XS. 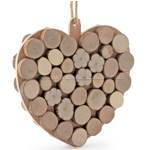 Available in pale blue or pink. Suitable for rats. 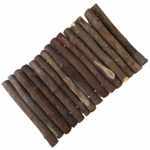 This is a flexible row of logs which can be used as a hideaway, a bridge, a ramp, and is safe to chew on. 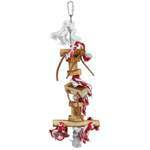 A Rosewood Boredom Breaker, the Wooden Flower Garland Chunky is made of 11 wooden gnaws that hang across the cage, brightening your pets home. 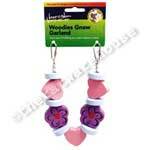 100% pet friendly materials, the Wooden Flower Garland is ideal for small animals and pet birds. 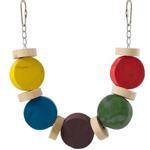 Wooden chews in various colours to hang in the cage. Made of thick knotted rope, this cargo net can provide your Rats with some climbing fun, or can be used as a platform on which they can rest. It is available in two colour combinations, a purple theme and a khaki theme for the combat rats. The net is washable. 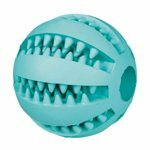 This ball by Trixie makes your pets exercise for their treats! 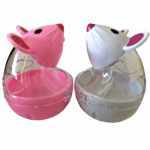 Fill it with some small treats, adjust the opening and let them figure out how to get the treats out. Try it with the Rosy Apple, Chocolate or Yoghurt drops, or the small crunchy carrot and beetroot hearts from the Treats Aisle. 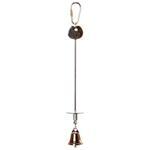 Suitable for rats and other small pets. 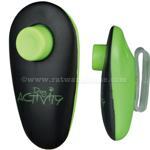 This training clicker fits on your finger making it easier to use and allows for holding rewards. 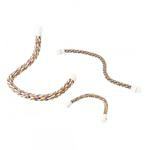 Suitable for rats, puppies, dogs, cats, rabbits and birds. Includes a booklet with tips and tricks for optimum training. 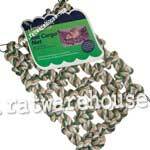 Measuring approximately 3ft long, this rope bridge is great to get your rats a good workout. It's also a good way for your rats to get from on place to another. 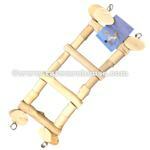 An indispensable accessory, the work-out rope bridge is also durable. 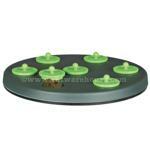 It is available in two colour combinations, a purple theme and a green theme.